Back to work! Lots of unfinisheds to work on and new things to come! Yes, Moai there keeps my tissues handy! Coffee cup not to be confused with paint water. 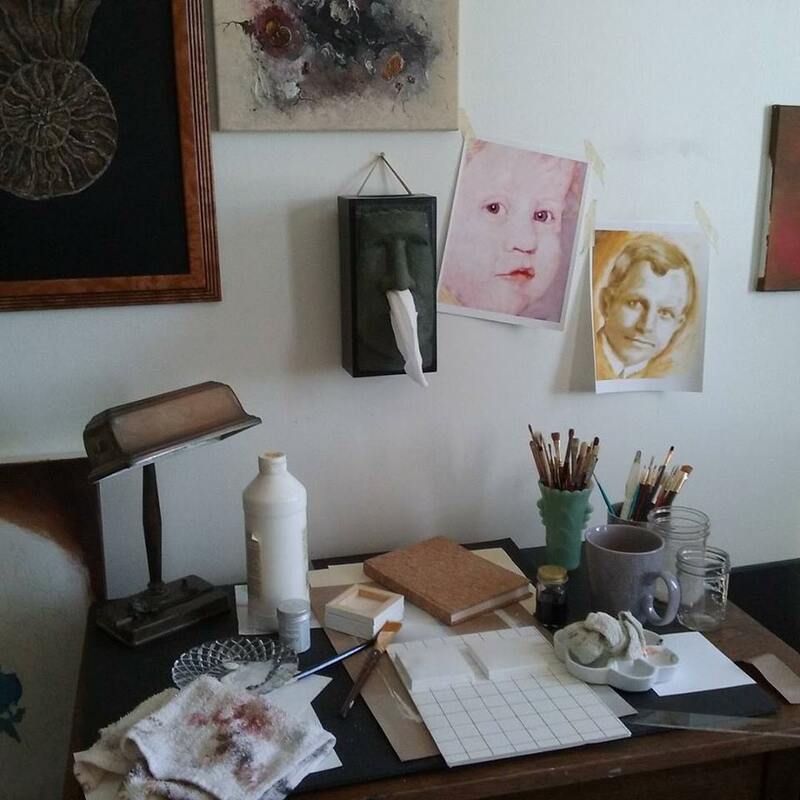 Share your studio.